Posted on 10, September 2018 by EuropaWire PR Editors | This entry was posted in Germany, Management, Switzerland, Transportation & Logistics and tagged Achim Dünnwald, DHL, digitalization, eCommerce, Günter Birnstingl, logistics, parcel, parcel network, parcel_shipping, Switzerland. Bookmark the permalink. For parcel delivery, DHL Parcel (Switzerland) AG relies on its own service partners. For both domestic and international parcels it also works with its sister company DHL Express (Schweiz) AG, which has been operating in Switzerland since 1978. DHL is in the process of developing its own parcel network in Switzerland. PRATTELN/BONN, 10-Sep-2018 — /EuropaWire/ — DHL is in the process of developing its own parcel network in Switzerland. The newly formed company DHL Parcel (Switzerland) AG is focusing on the dispatch of parcels within Switzerland. 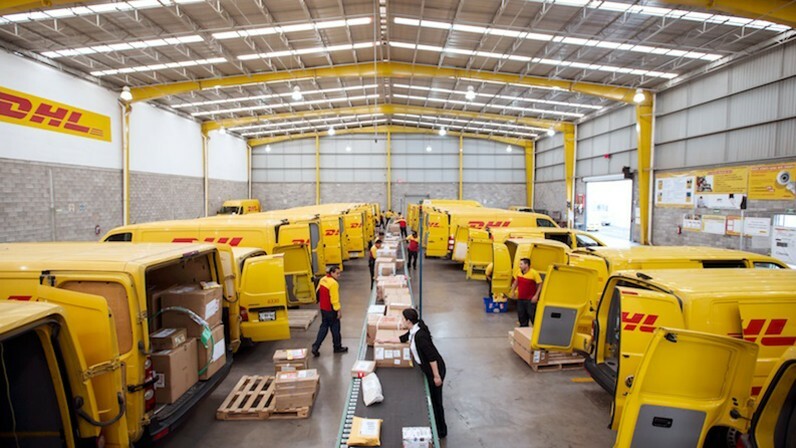 Thanks to a close network of DHL ServicePoints, which has been set up with local partners, DHL Parcel can offer its parcel services on consumer-friendly terms. Digitalization is creating new needs, with the growth in online commerce, in particular, offering enormous potential. The e-commerce market is thus giving rise to great growth opportunities for online retailers. A key factor for sustainable success in e-commerce is customer satisfaction in parcel shipping. As of now, DHL Parcel is supporting all commercial and private shipping customers in Switzerland with a future-oriented and tailor-made logistics service – one that offers customer-friendly opening hours at DHL ServicePoints, short delivery times, Saturday delivery and ease of handling. Swiss-based companies can pass on this added value to their customers and benefit themselves from attractive conditions. Fast shipping: Parcels posted for dispatch from Monday to Friday are delivered on the next working day as standard, including Saturday (initially in the greater Zurich area). The only exception is parcels that are dispatched on Saturday; these will be delivered the following Tuesday. Convenient delivery times: For market entry, parcels will be delivered in Zurich by 8:00 pm. This service will be extended to other cities on an ongoing basis. Maximum security: Parcels are delivered to the recipient’s front door. They are only handed over in person and must be signed for. Delivery tracking and notification is provided via SMS or pre-alert. Enhanced service: If the recipient is not able to accept the parcel, it will be deposited at the nearest DHL ServicePoint. Ease of handling: Outgoing parcels can be franked at home and then simply and conveniently posted at the nearest DHL ServicePoint. Transparent pricing structure: Shipping costs are non-weight-based and depend solely on the external dimensions. To determine the rate, the dimensions of the shortest and longest side of the parcel are added together and assigned to one of the four rate classes from S to XL. Instead of having its own outlets, the company works with local partners to set up DHL ServicePoints at existing points of sale. The partner companies are required to meet a range of quality criteria before they can act as dispatch and delivery points. In addition, their employees receive ongoing training. The type of partner companies varies from gas stations and pharmacies to retailers, allowing DHL ServicePoints to offer attractive advantages for senders and recipients, such as short distances and long opening hours. At present, there are approximately 400 DHL ServicePoints available and the network of these DHL ServicePoints is to be constantly expanded based on geographical criteria. There are plans to have approximately 750 DHL ServicePoints by the end of 2018 and approximately 1,000 by the end of 2019.